Boogie Wipes Review - Do They Really Work? Boogie Wipes are a great addition to your winter survival kit if your family is prone to getting colds. If you've got allergy-sufferers, you may also love Boogie Wipes in the summer. These saline-infused wipes can be used to clean off your baby or toddler's nose, and they work pretty well to remove the crusty mess that often results when little ones get runny noses. They have soothing chamomile, vitamin E and aloe in them, along with the saline, and they come in fresh scent, grape scent, and unscented. You still may need regular tissues for some situations, but using Boogie Wipes when you can should mean that your little one's nose is less irritated, and you spend less time struggling to wipe a wiggly child's nose. No alcohol so these wipes won't dry or sting skin. Added saline helps remove dried "boogies" around baby's nose. Soothing chamomile, Vitamin E, and aloe moisturize delicate skin gently. Can be used for other baby or toddler cleanup, as well, such as messy faces at restaurants or dirty hands at the park. Available in 10-count, 30-count, and 90-count packs or individually wrapped. Available in fresh scent, grape scent, and unscented. Scent may be a little strong for some. The wipes aren't really absorbent, so for really runny noses, you may also need a tissue. When your baby or toddler has a runny nose, you suffer almost as much as your little one every time you try to wipe that tiny nose. The usual result is a baby nose with at least a little bit of dried-up mess around it. No matter what you call it, it's still gross! Boogie Wipes are made to address that mess. These saline-infused wipes are used like a tissue, but the saline helps loosen the dried up stuff so your baby's nose can be clean again. It's like a baby wipe, but designed specially for tiny irritated noses! Since there's no alcohol in the wipes (unlike in baby wipes or other wet wipes), they won't sting the delicate skin around baby's nose, even if it's irritated from boogies or constant wiping. If you need extra help clearing baby's nose, the company also makes Boogie Mist saline spray (Buy on Amazon). These wipes are not very thick. They're like a regular tissue in thickness, and easy to fold or scrunch them into whatever shape you require to wipe tiny noses. They're wet enough to work but not drippy. One mom who tried them out said "the scent isn't unpleasant, but it is pretty strong." The grape scent may be a little bit off-putting for adults, but kids seem to enjoy it overall. If If you don't have to chase a child to wipe their nose, a little bit of grape scent is probably a worthy trade-off! 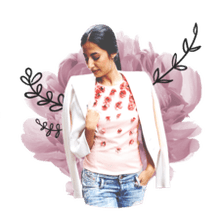 The fresh scent is pleasant, and if you don't want to deal with any smells at all, the unscented version is just as effective without the potential for fragrance dislikes. Boogie Wipes do not absorb anything. If you're just removing dried up messes or wiping stuffy noses, that's OK. If your child has a major runny nose, you may need regular tissues, as well, at least to get the wiping started. Then you can finish up with a Boogie Wipe to get all the goo cleaned up. Boogie Wipes are definitely less irritating than regular tissues, though, so it's worth switching them in when you can. 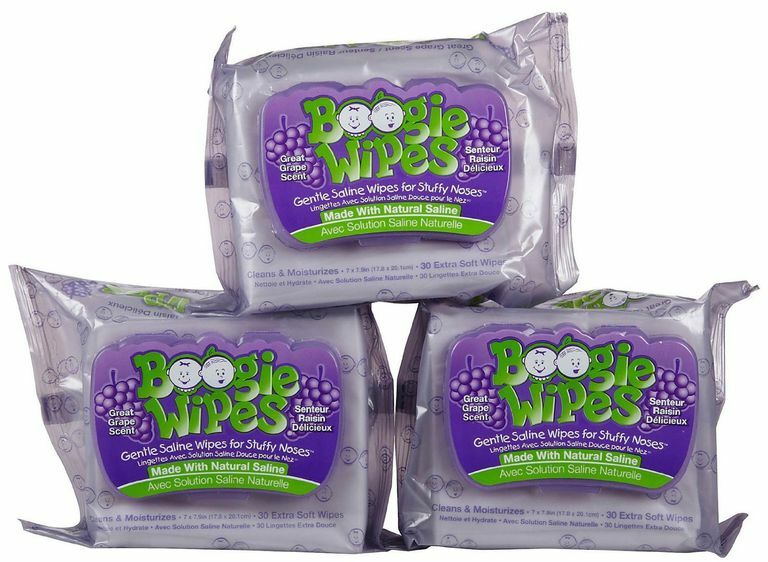 Boogie Wipes are pretty inexpensive, and they could be used to wipe almost any mess in a pinch. A mom who tried them noted "they don't seem to dry up if you leave one out for a while before using it, which is odd, but it works." If you'll be carrying around a package of wipes that are used infrequently for older toddlers, the slow-drying properties of Boogie Wipes make them a better choice than standard baby wipes, which tend to dry out fairly quickly. Even older kids, teens, and adults may find themselves reaching for the Boogie Wipes when colds or allergies attack. The moisturizing and boogie-busting properties are not limited by age! Overall, Boogie Wipes are an inexpensive, useful addition to your diaper bag. They work really well for wiping cruddy baby noses, and you might find many other uses, as well. They're perfect to have on hand in case baby gets a cold or allergies, and they also make a fantastic add-on to a baby shower gift.